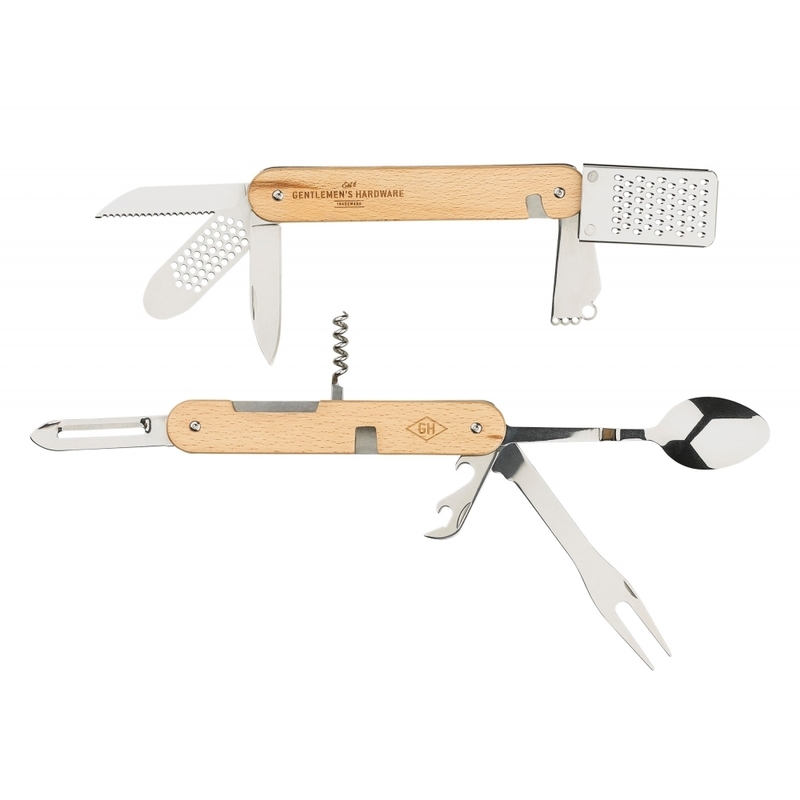 This Gentlemen's Hardware 12 in 1 Kitchen Multi Tool by Wild and Wolf is the ultimate kitchen gadget, containing everything you need to prepare food in style. Comprising a cheese grater, channel knife, zester, sharp knife, serrated knife, garlic crusher, corkscrew, peeler, carving fork, can opener, bottle opener and stirring spoon, the handy tool splits into 2 pieces and folds away compactly for convenience. Supplied in a smart Gentlemen's Hardware gift box, it will make an ideal present.